This is a really, really special guitar. Purchased in 2010 from Retrofret (Musurgia) in Brooklyn. There is a lot on the forum about this specific Shopis guitar, and I am lucky enough to own it, and unlucky enough to have to sell it. 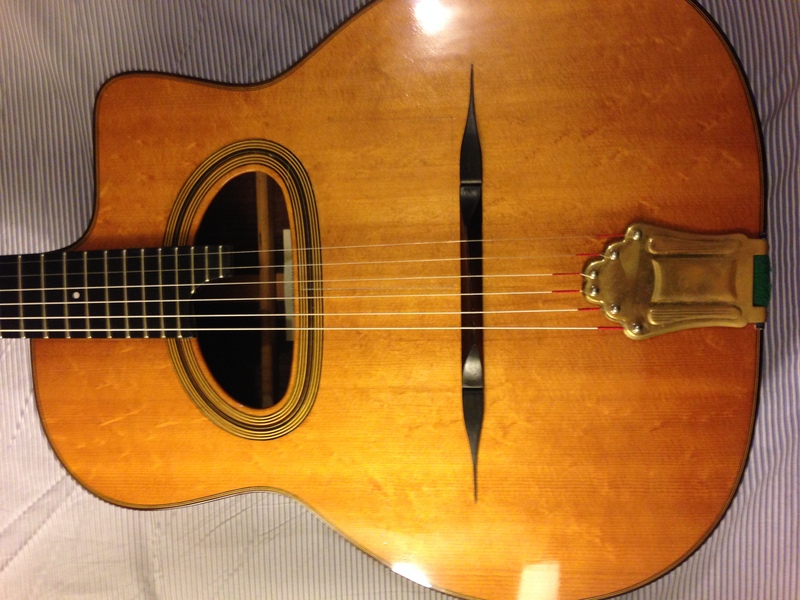 Model D'Artagnan (Grand Bouche) Gypsy Jazz Guitar, from the workshop of Rodrigo Shopis, c. 2009, ser. #040109. 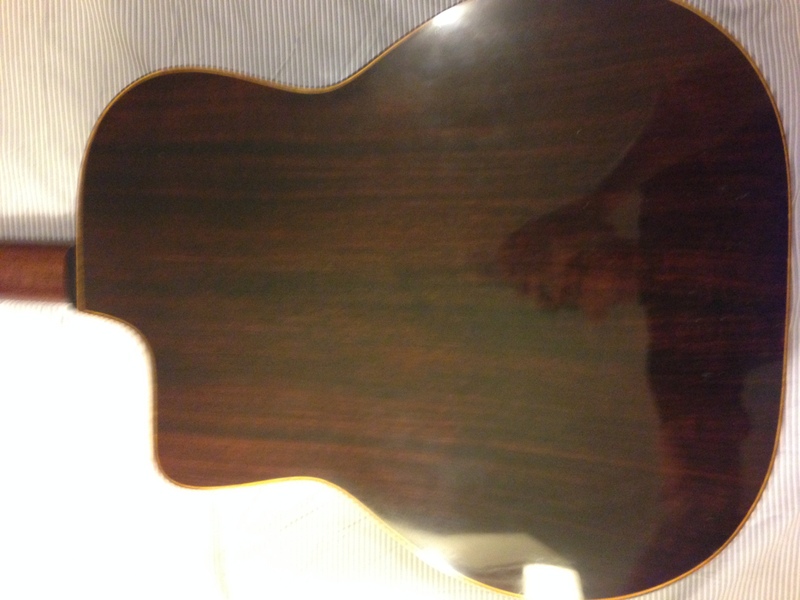 14 fret, Favino size, bearclaw top, rosewood back and sides... deep, bassy, and old sounding. This is not a snappy banjo sounding guitar. This is a LOUD, deep, rich, complex guitar. Less a banjo than a piano. I am really, really sad to let it go but I have another guitar from Rodrigo and I am releasing a new record, and moving across the country, and need all the money I can scrape together. This guitar is the only guitar I played on my first record for my band Noah and the MegaFauna. Here's a soundcloud to check it out. Track 8, Liquid Modernity, has Gonzalo Bergara on it playing my guitar! He loves this guitar and threatens to steal it every time I see him. One writes music because winter is eternal and if one didn't, the wolves and the blizzards would be at one's throat all the sooner. I've never had the pleasure of playing this guitar, but it is something of a legend in New York City. 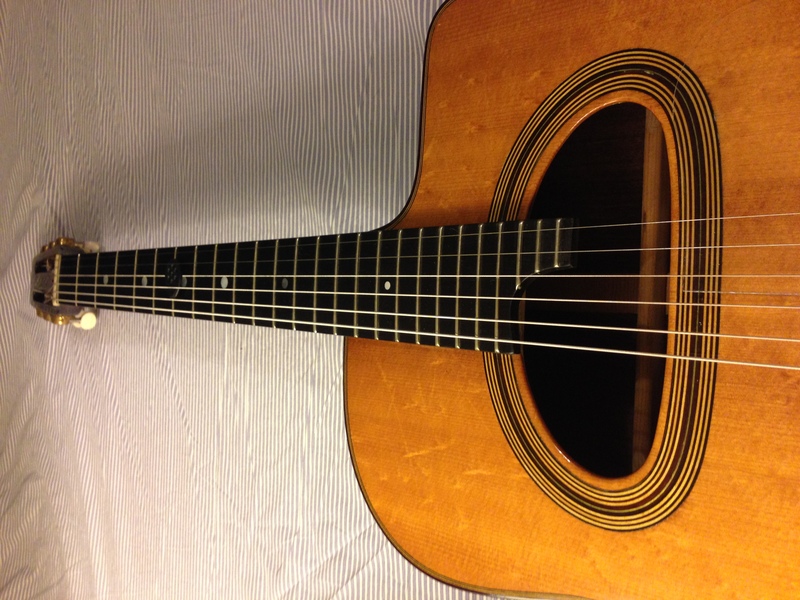 I used to own a fabulous Shopis Favino style oval hole, which I sold back to the original owner to help pay for a new guitar that Rodrigo built for me. Every pro who ever played it at Django in June fell in love with it, Gonzalo included. This is a steal!